I made these black cherry mojitos in partnership with our friends at Safeway. We love shopping there and we appreciate you guys supporting the brands that support us! I mentioned a few weeks ago that we moved recently. Unlike our last few moves, this one wasn’t super far. But in a city like Colorado Springs, a couple of miles can make a HUGE difference.  We’re now closer to the interstate, the airport, my fave coffee shop, a nice walking trail, and plenty of other conveniences. We had ZERO intentions of moving this year, or anytime in the near future, really. We just moved in July of 2016 and that was plenty of an ordeal. But when you have the option to go from an apartment to an entire home, it’s kiiiiiiiind of a no-brainer. Plus, said house just so happened to be located less than a mile away from SAFEWAY. Yup. Food blogger dreams do come true. I no longer have to drive 20+ minutes to get groceries for recipes. I can just pop right around the corner and pick up everything I need all in one place. It just so happens that Safeway is running their awesome “Stock Up Sale” all the way through October 19. Conveniently enough, a TON of my favorite pantry staples and produce essentials are included in the discounts. Such as the black cherry seltzer that I used to make these black cherry mojitos. And my favorite mac & cheese that we take along when we go camping. And organic spinach for my morning smoothies. And pasta sauce for cozy fall date nights. The list goes on. I find all of these great products at my local [Insert your local store name here] – be sure to check out these great products at your local Albertsons Companies grocery stores including Albertsons, Safeway, ACME Markets, Jewel-Osco, Vons, Pavilions, Randalls, Tom Thumb, Shaw’s, Star Market, United Express, United and Carrs/Safeway. All I know is, I got A LOT of groceries for not a lot of moolah.  With the Stock Up Sale going on AND using the Safeway app, I saved almost $20 off my total bill. That’s what we call winning. Enough seltzer water to float a small ship: check. Everything I need for next week’s recipes: check. Mojitos: check. Bank account still in tact: check. 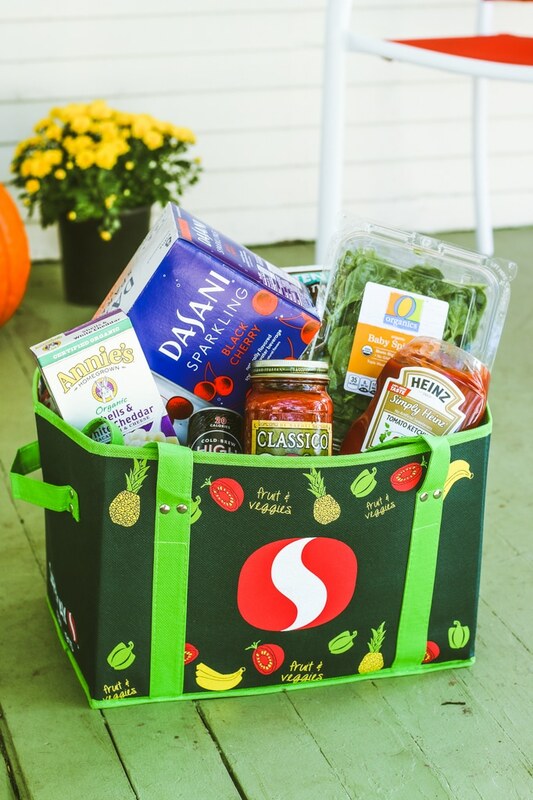 Sweepstakes entered to win free groceries for a year: double check. <– You most definitely should enter this too. Just go to Safeway, do your shopping, and take a picture of what you got (featuring 2 or more of their Stock Up Sale items). Post the picture on Twitter or Instagram and hashtags #StockUpSale2017 and #Sweepstakes. You can see my entry below and check out the official rules and deets here: http://bit.ly/2wxCAHk! I hope you guys enjoy these cocktails! 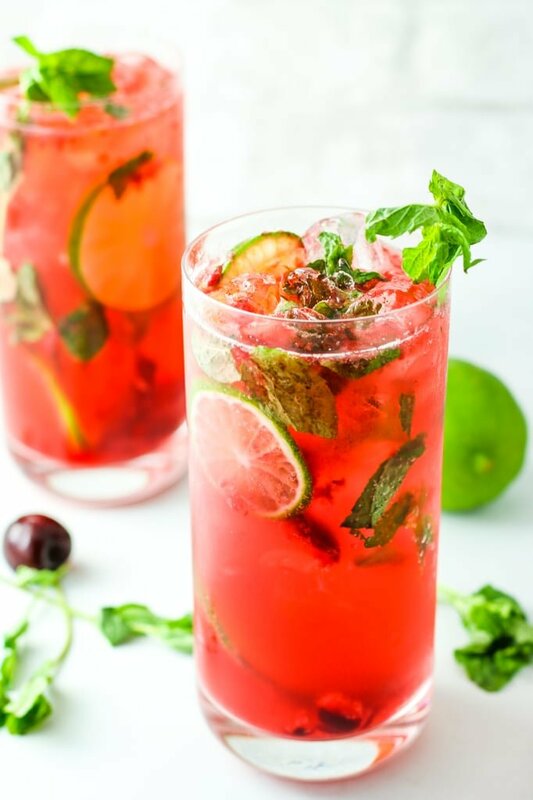 Traditional mint and lime mojitos are one of my very favorite drinks, but the addition of black cherry is SO good. Plus, they turn out to be a pretty purple color that would be a hit at Halloween parties this year. This is a sponsored post written by me on behalf of Safeway. All opinions expressed are my own. 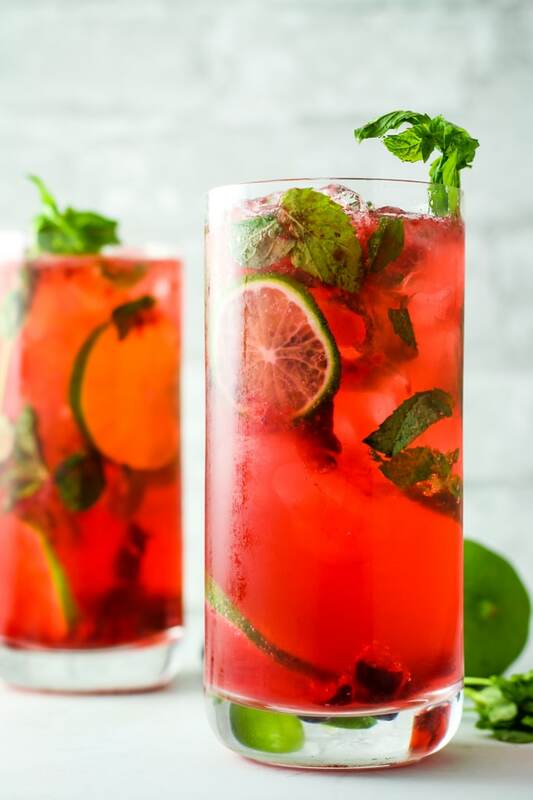 This black cherry mojito recipe makes for a light and refreshing cocktail. 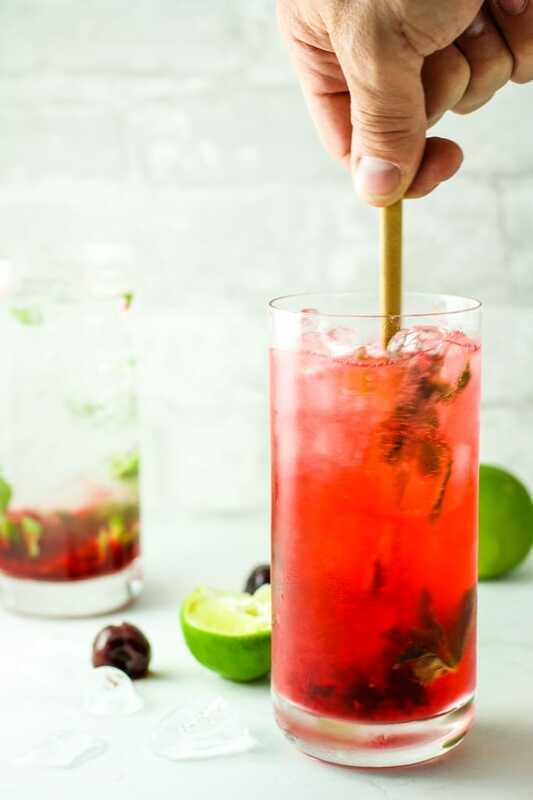 Muddle cherries with traditional mint, sugar, and lime to mix these up! Add mint, lime juice, sugar, and cherries to a tall glass. Muddle vigorously until cherries are smashed and sugar is mostly dissolved. Add ice, pour in rum, and fill glass with sparkling water. I would give anything to have a grocery store right around the corner from my house! But the next time I’m out and about I will be sure to grab everything for this recipe – this girl loves her cocktails! Mmmm mojitos are my fav! Love the seasonal twist on this recipe and the color is perfect for the holidays! Oh my heavens! These mojitos look to die for. I love that you use less sugar, too. I love mojitos, but sometimes they are too sweet. Ohhhh how I love mojitos! My fav drink. Your version looks delightful! Black cherry everything is my favorite and mojitos are one of my favorite drinks. A perfect match! Cheers it’s 5pm somewhere! These look delicious and refreshing! I might have to go grab a bunch of mint before it freezes. I wish I had seen this on the weekend! Or maybe Mojito Mondays needs to become a thing? haha..looks so good and refreshing! Such a gorgeous cocktail! This looks like a fabulous way to end a busy Monday! Cheers!